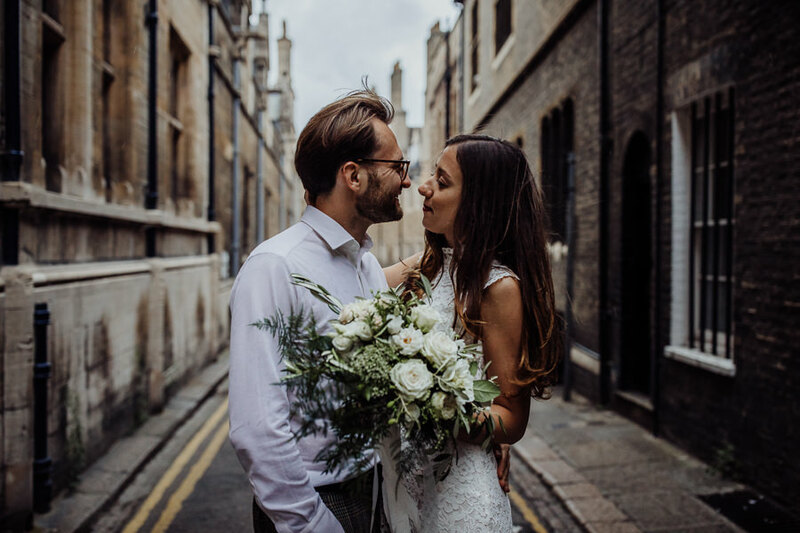 Gorgeous couple Lubov and Alexander met a few years ago through work and he proposed to her in Paris on a romantic holiday. 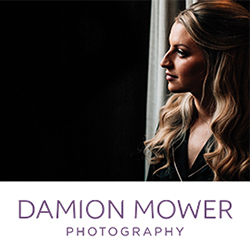 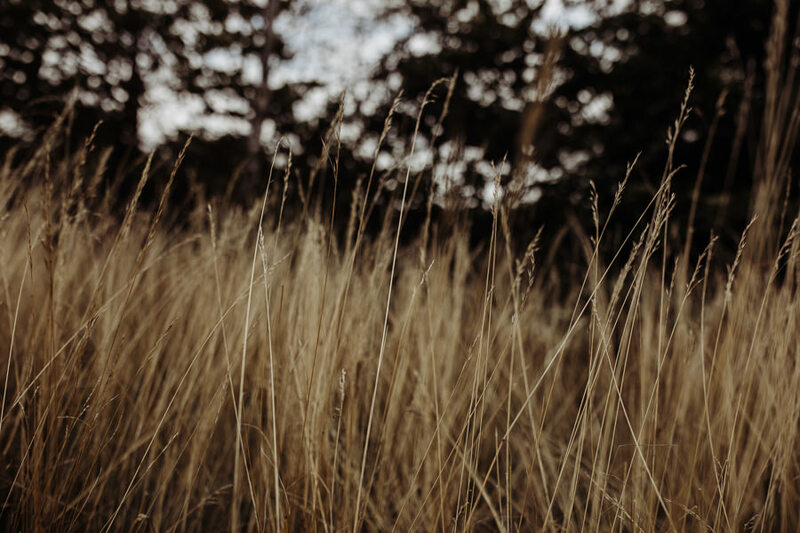 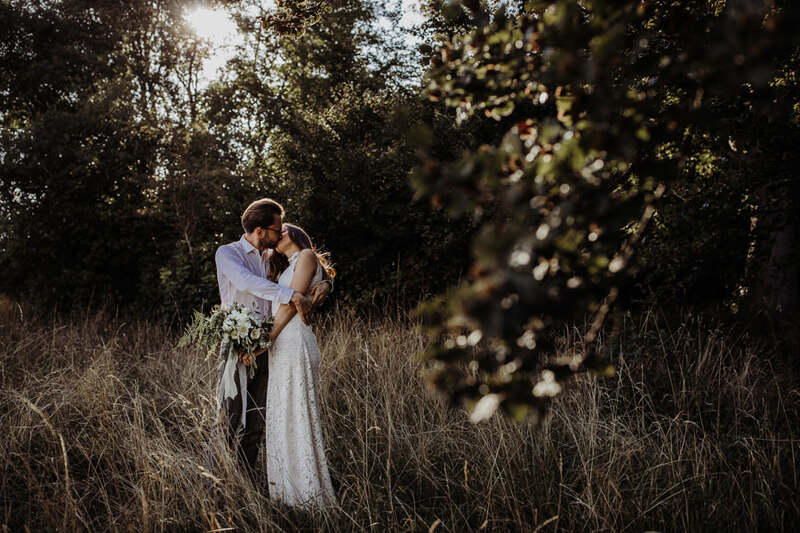 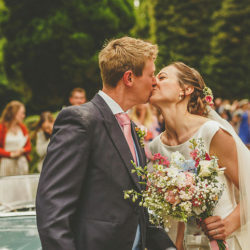 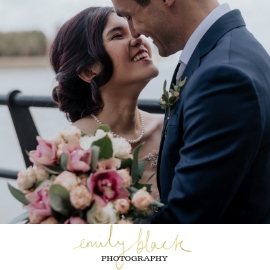 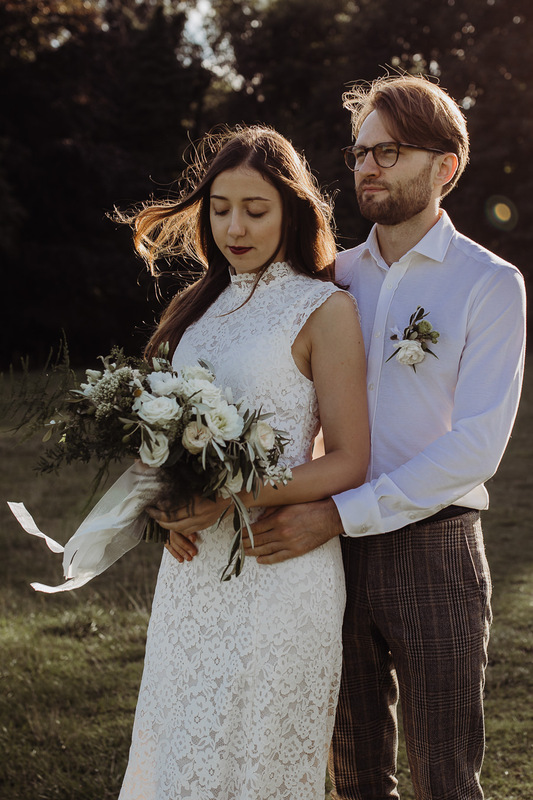 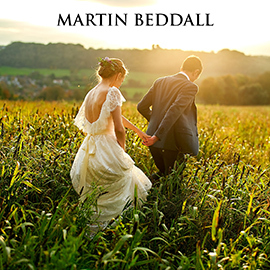 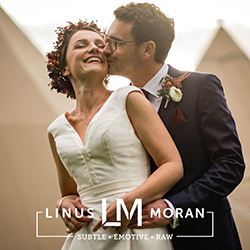 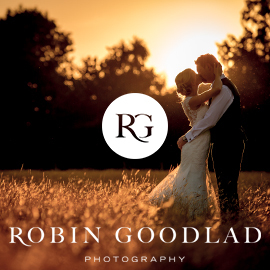 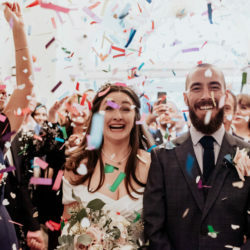 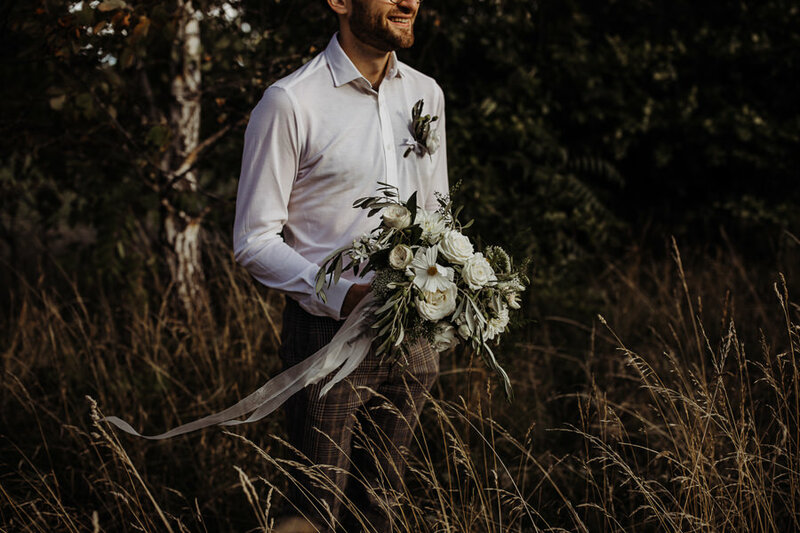 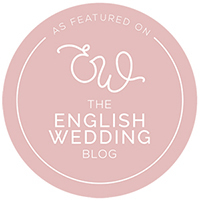 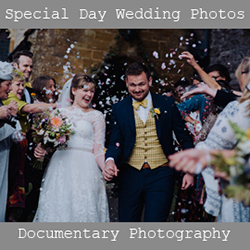 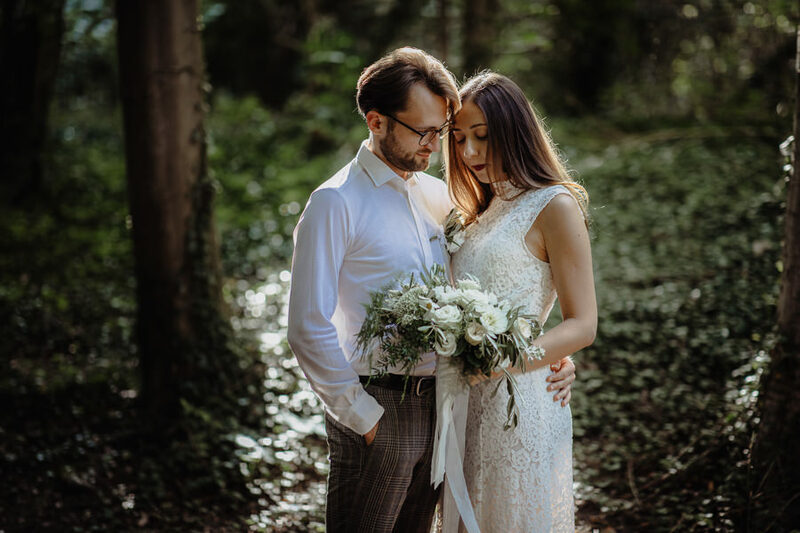 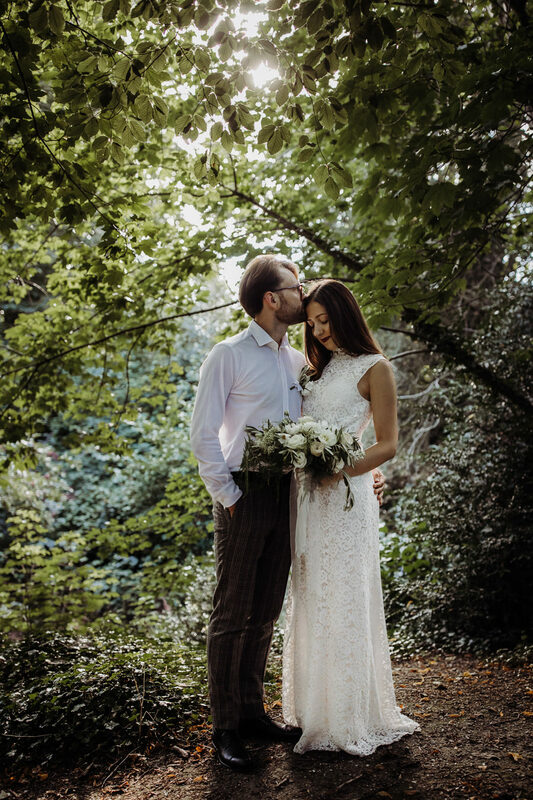 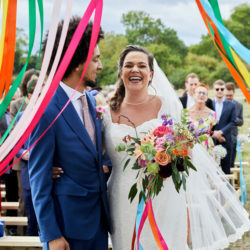 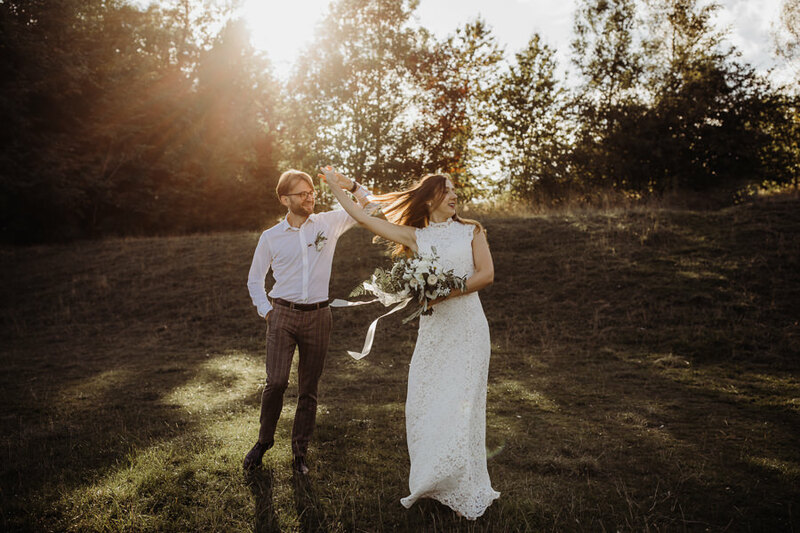 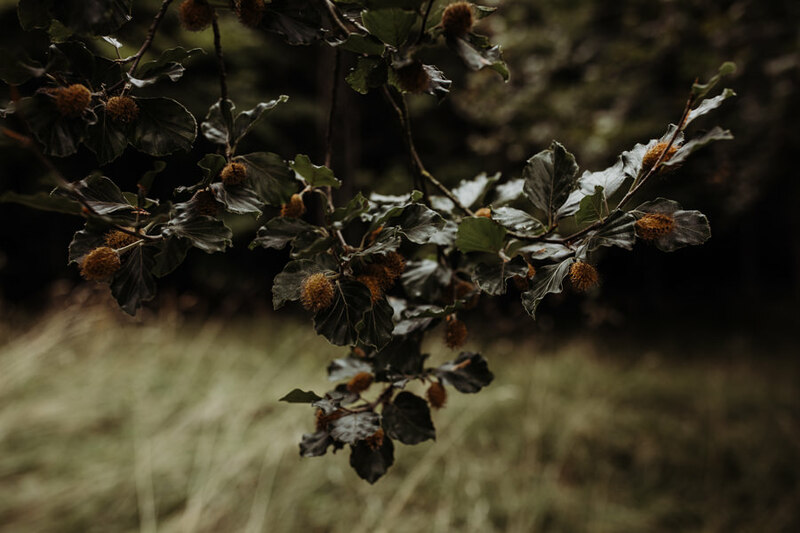 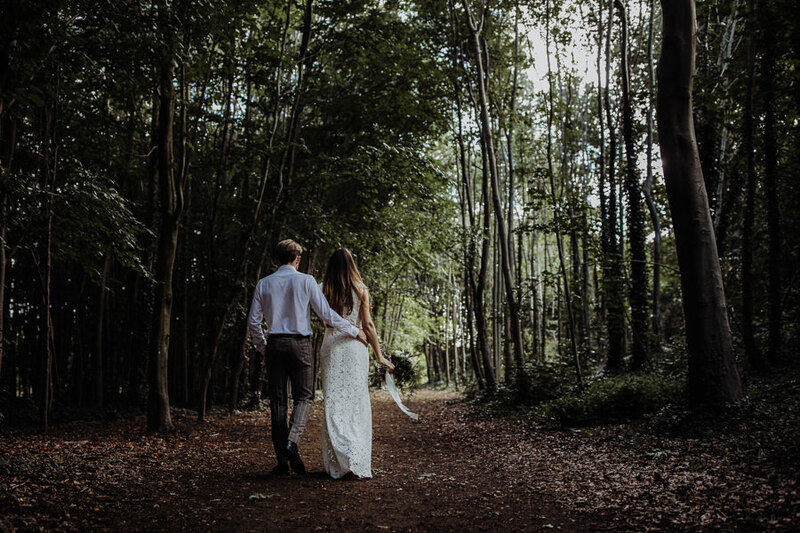 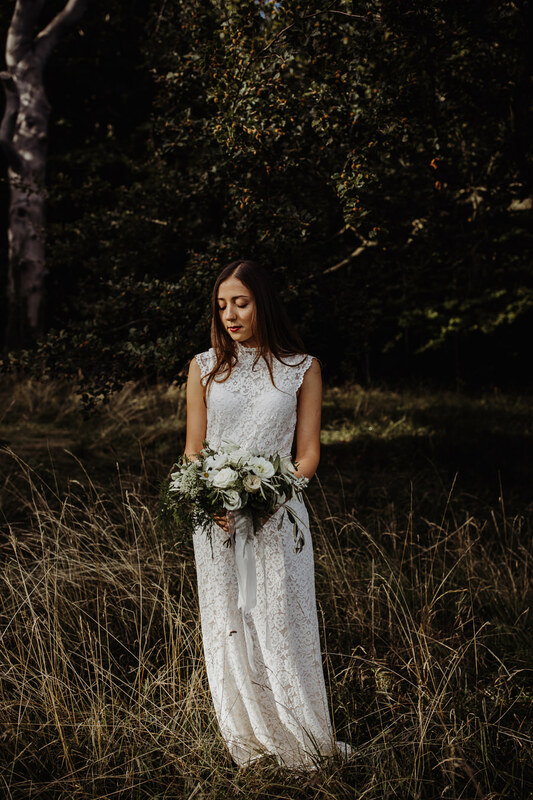 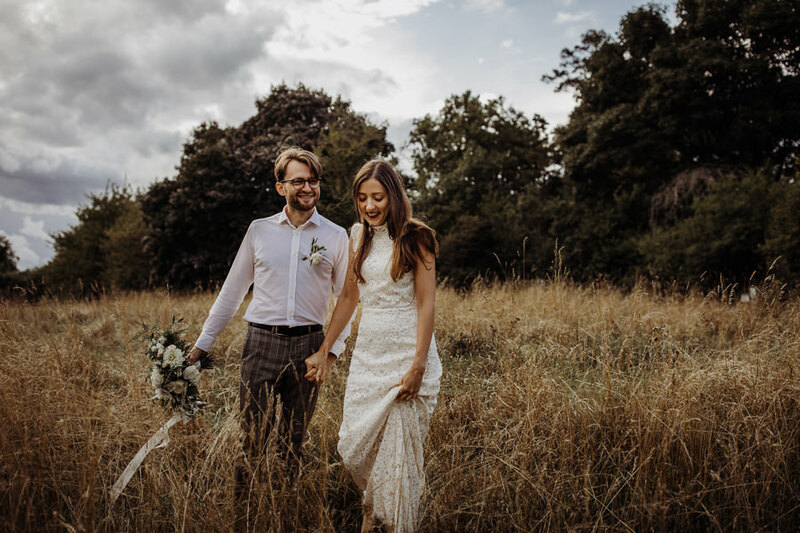 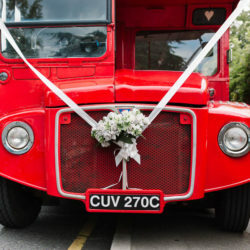 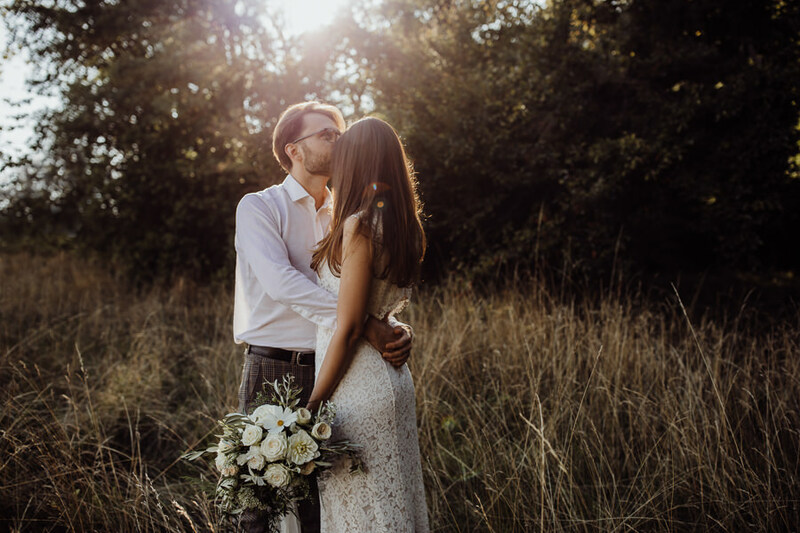 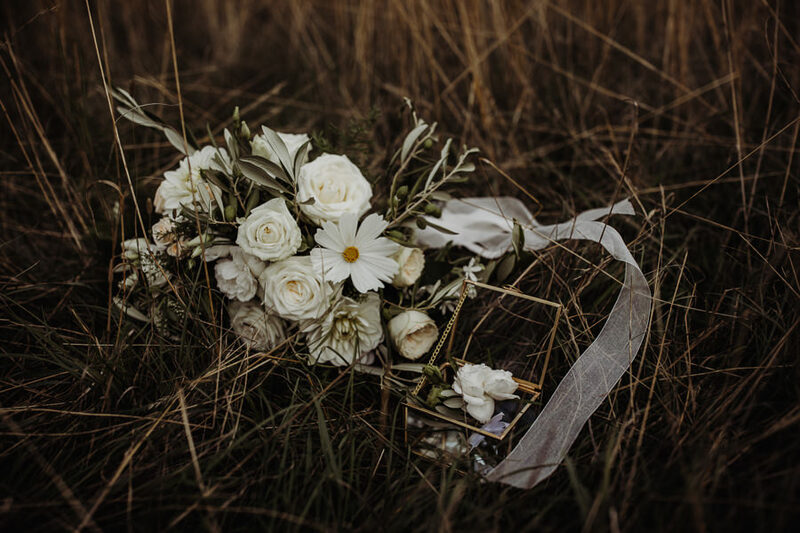 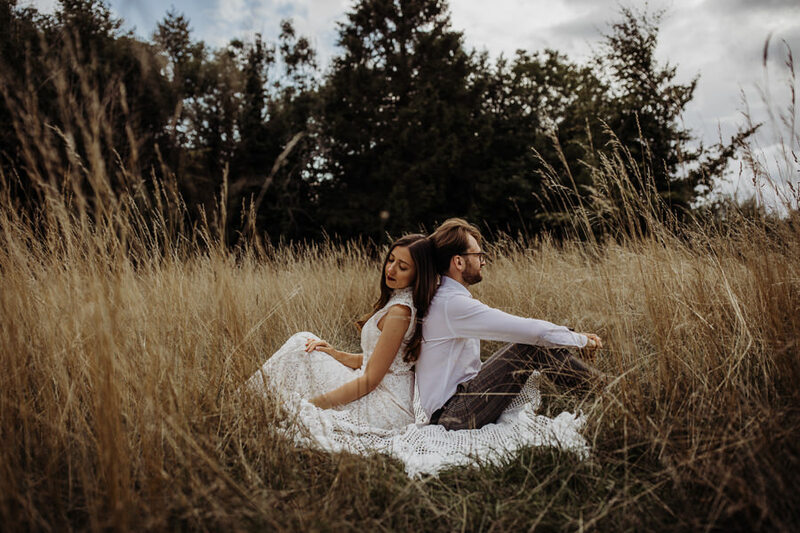 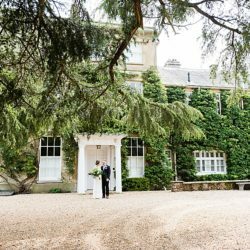 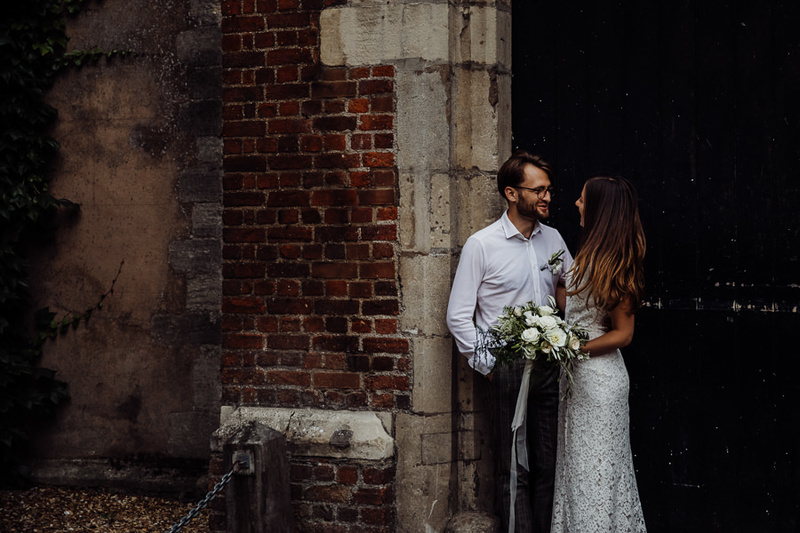 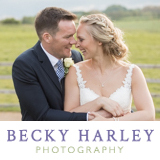 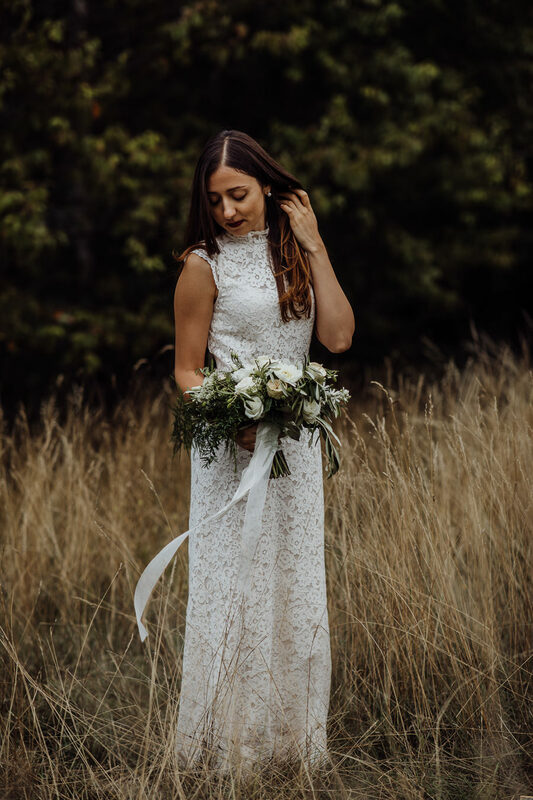 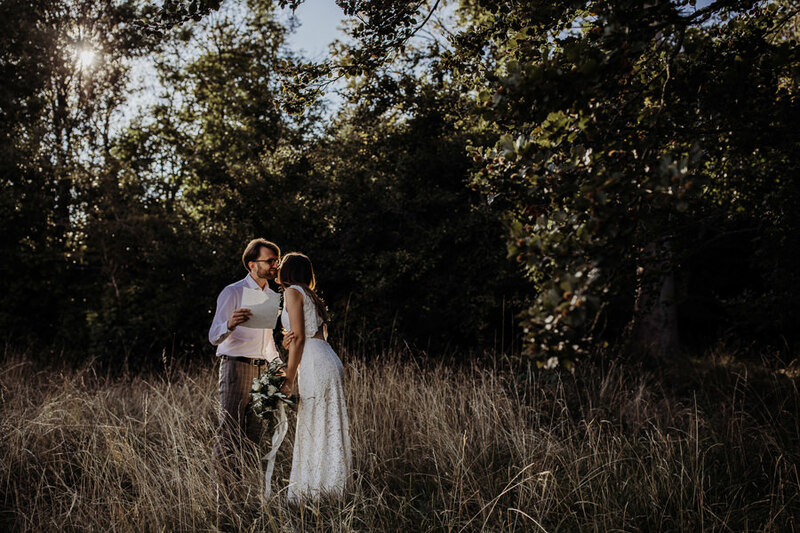 They moved to London and wanted a very intimate, romantic elopement just for the two of them somewhere simple and beautiful so they chose the meadows of Wandlebury Hill in the Cambridgeshire countryside. 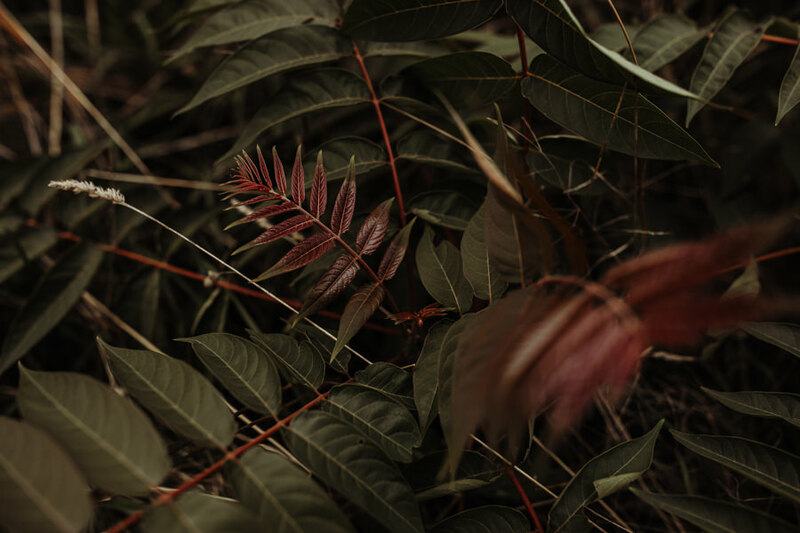 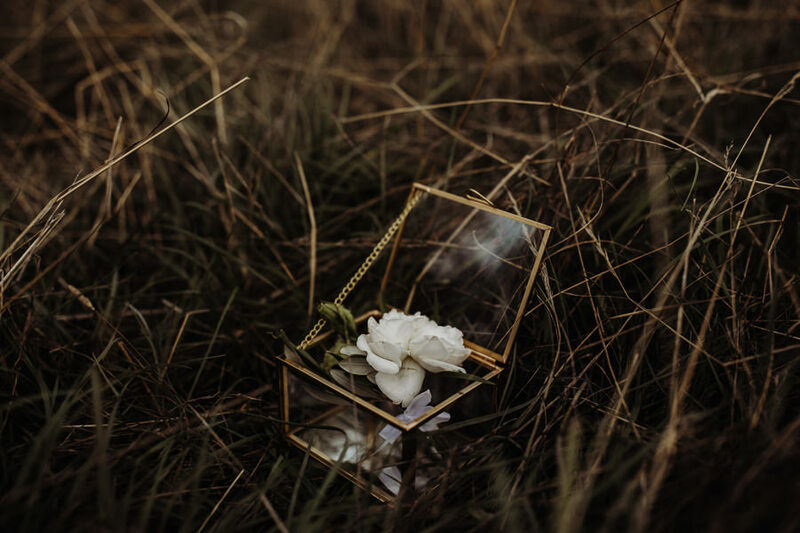 They wanted everything to be kept very natural, all about their feelings and nothing else. 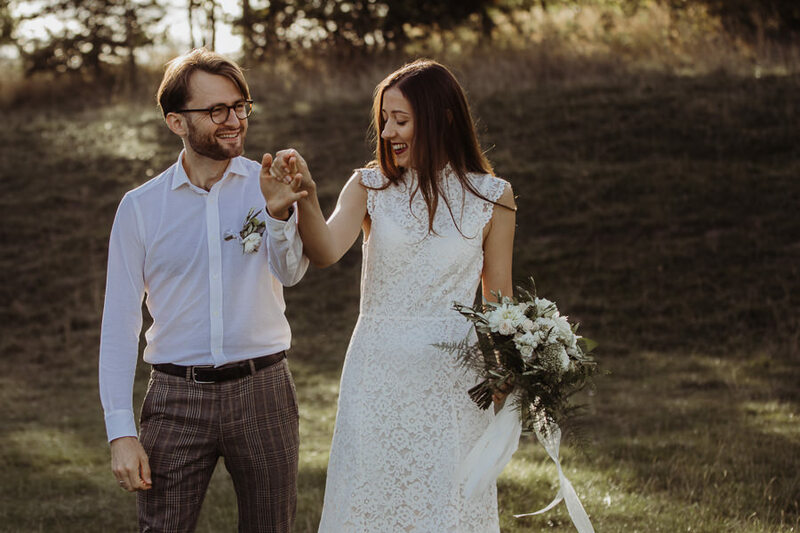 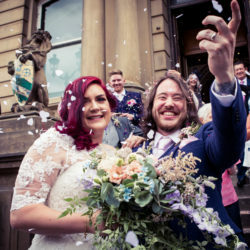 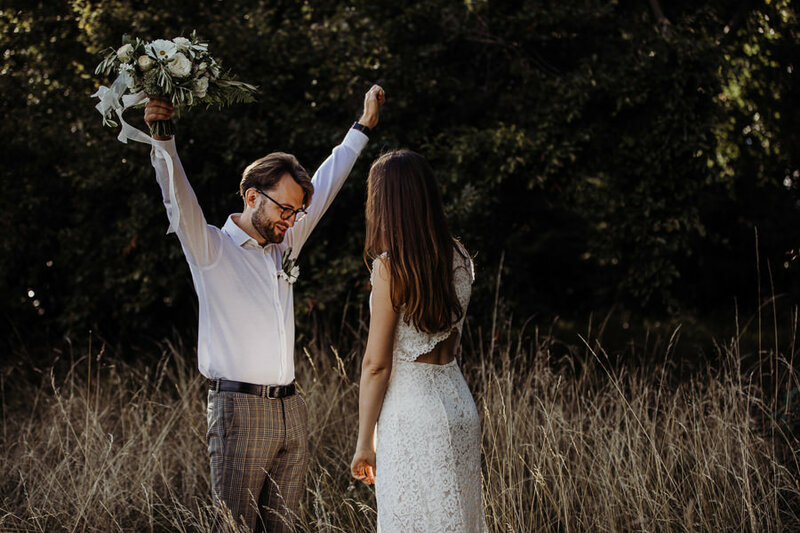 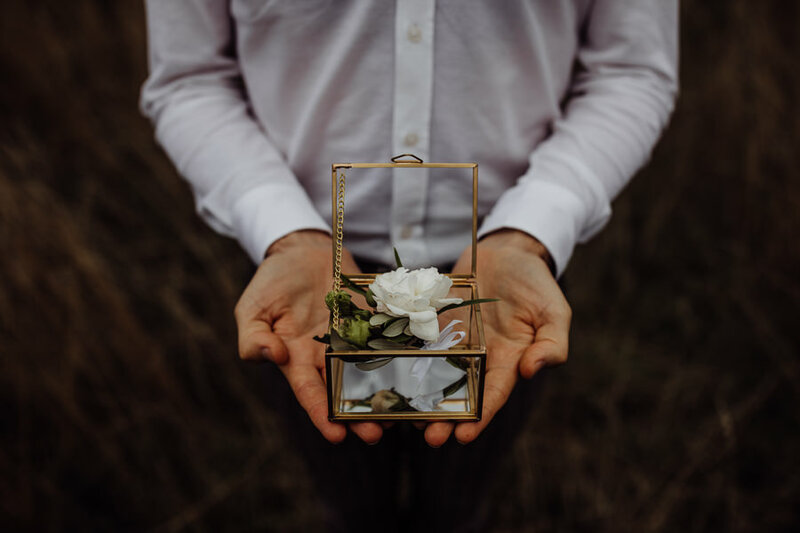 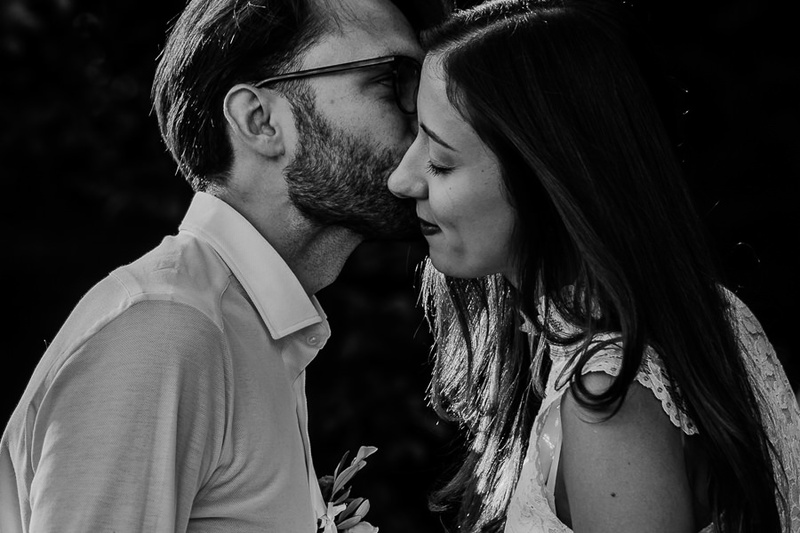 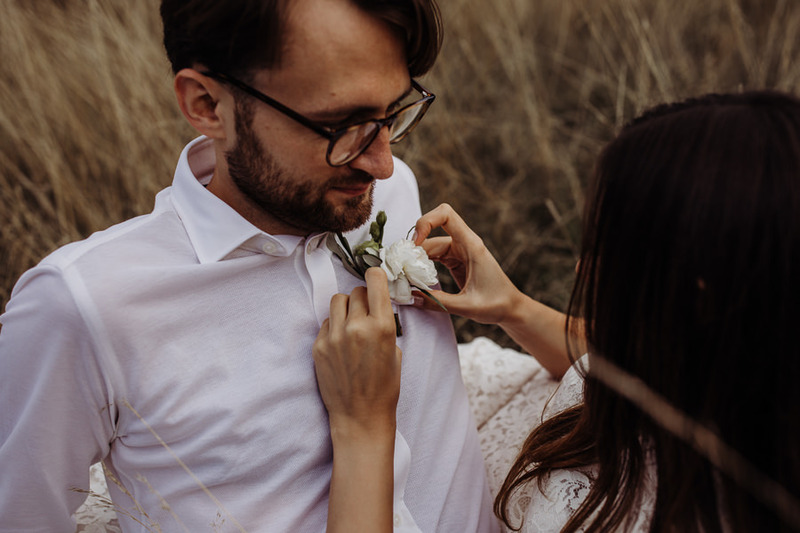 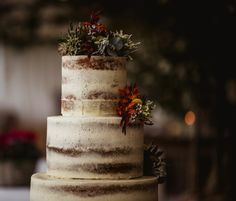 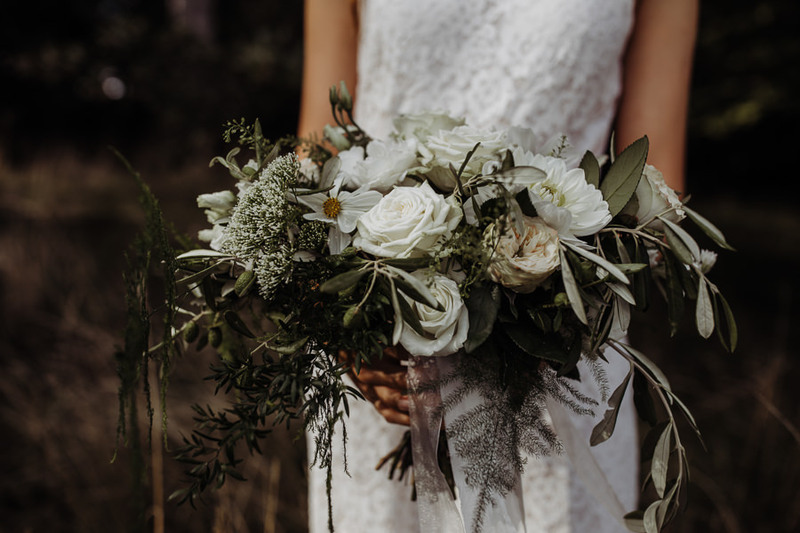 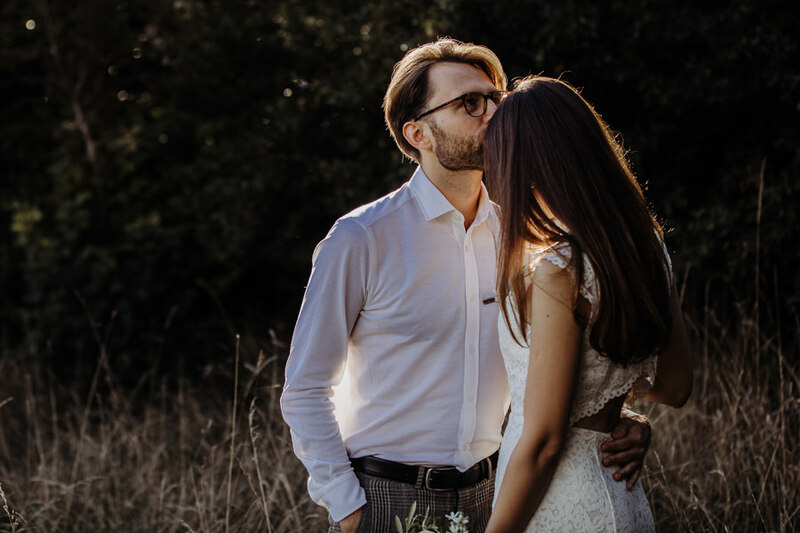 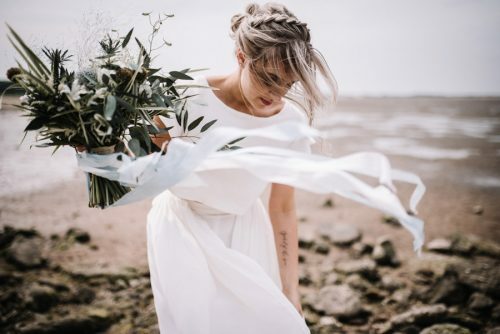 They were a shy couple but very much in love with each other – and their elopement pics are some of the most romantic and beautiful I’ve ever seen. 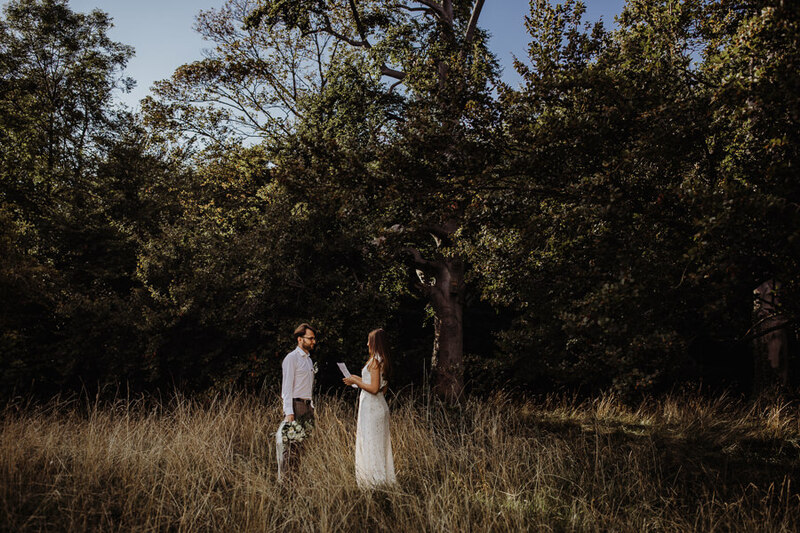 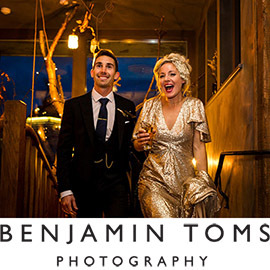 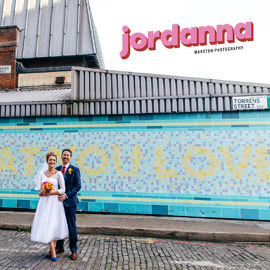 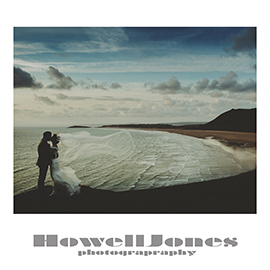 Today’s real elopement shows you don’t have to have a big wedding to be married. 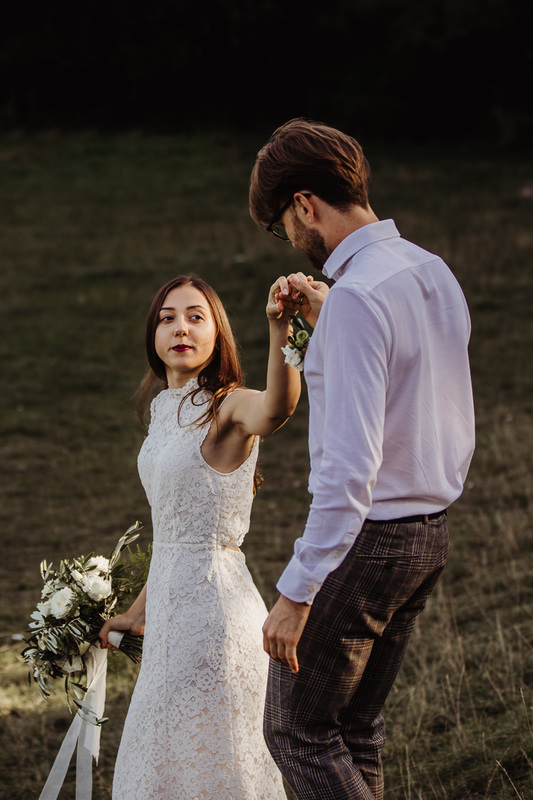 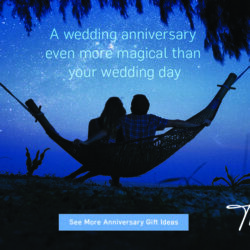 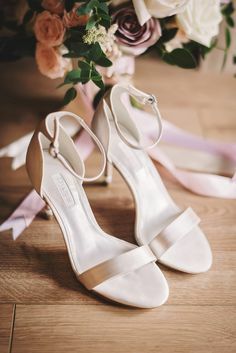 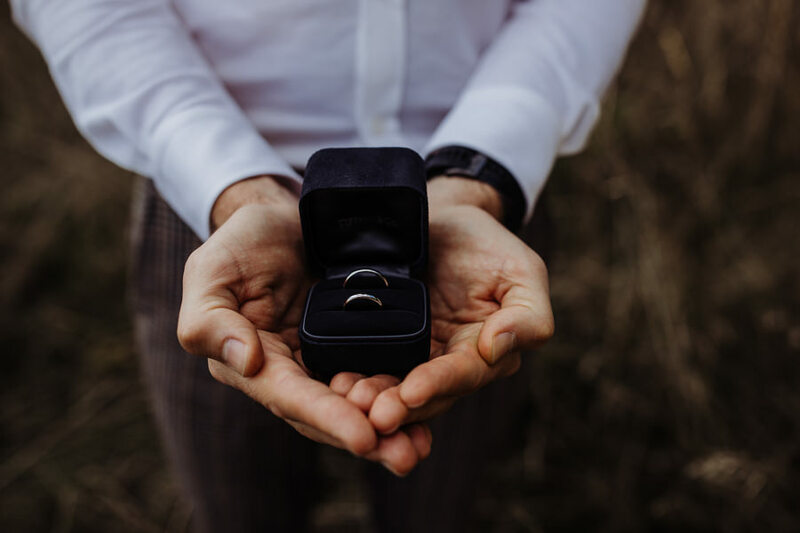 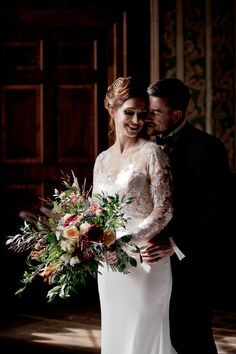 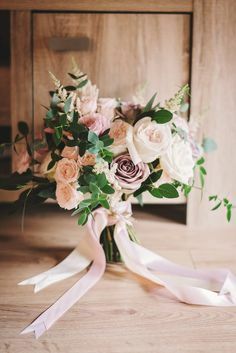 Marriage is a commitment; celebrating it is separate, entirely up to you and can be as public or as private as the two of you would like it to be. 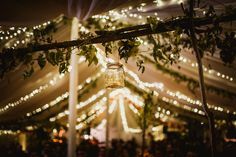 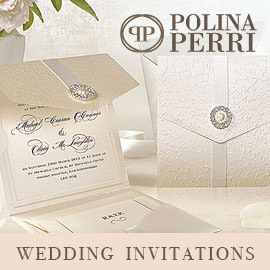 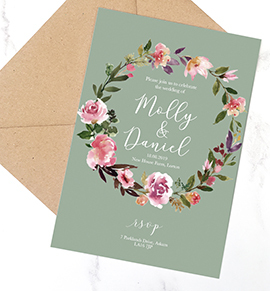 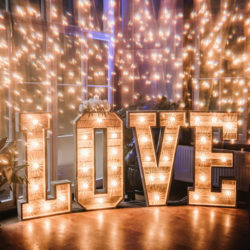 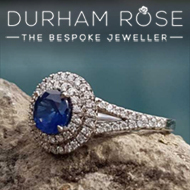 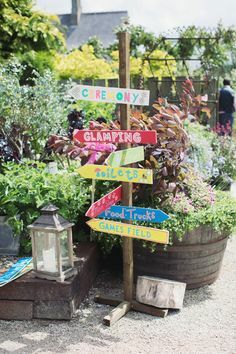 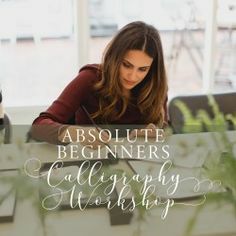 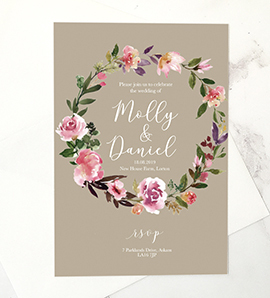 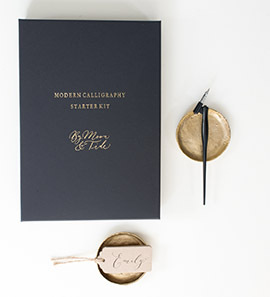 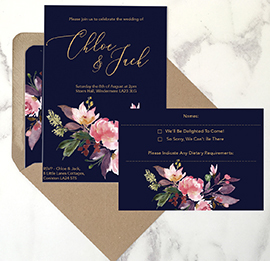 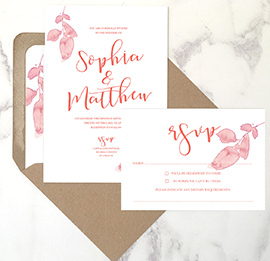 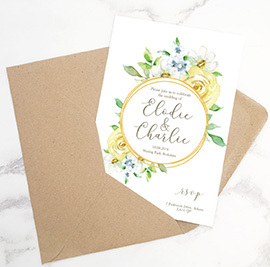 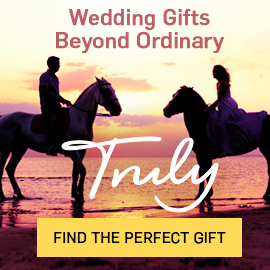 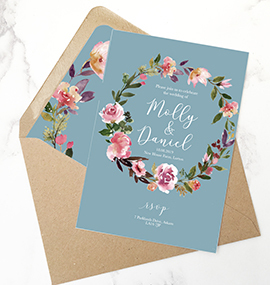 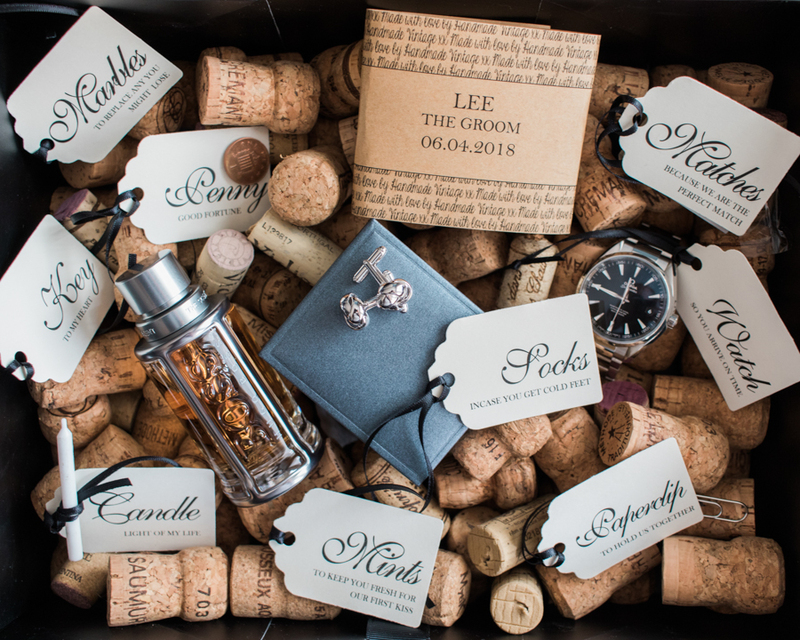 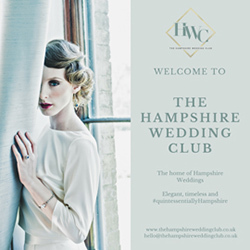 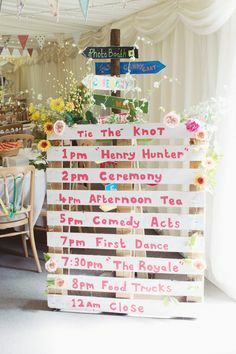 You don’t need wedding favours, stationery, a massive cake or even a venue, or a band or caterers. 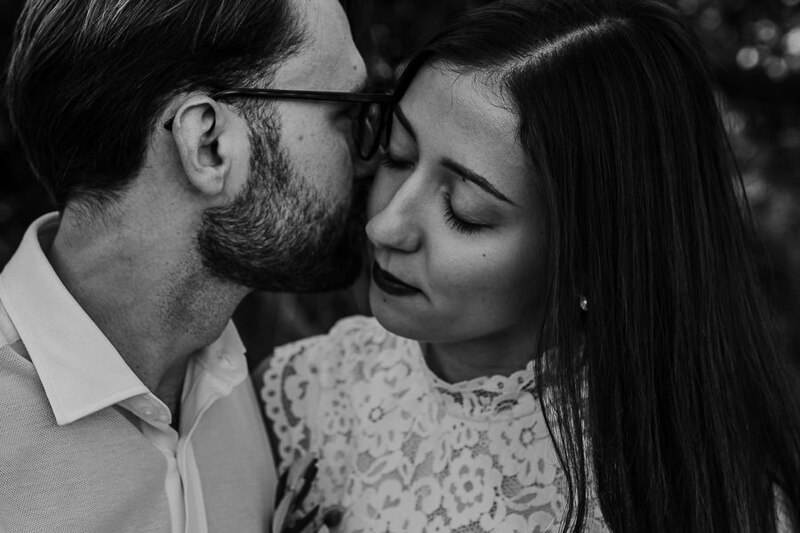 All you ever need is just two humans in love. 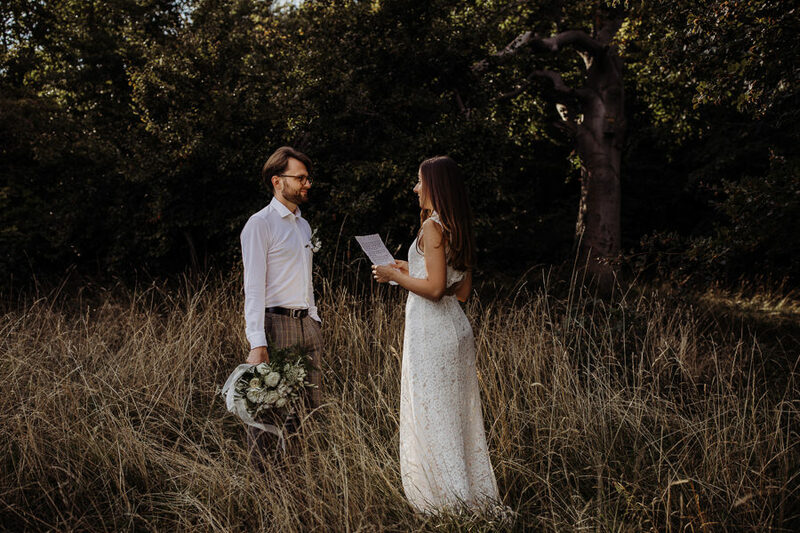 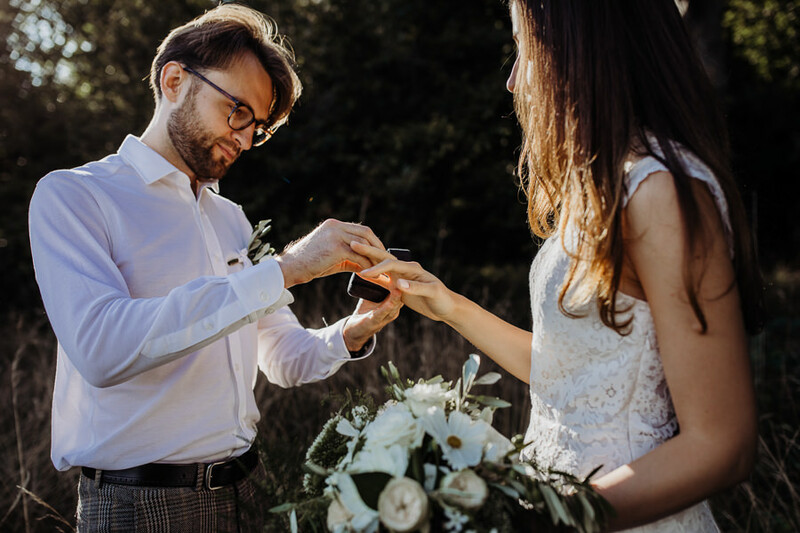 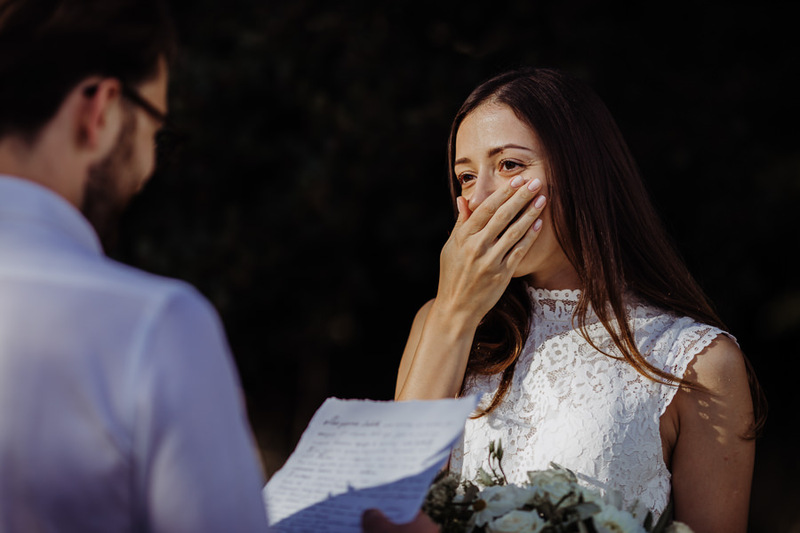 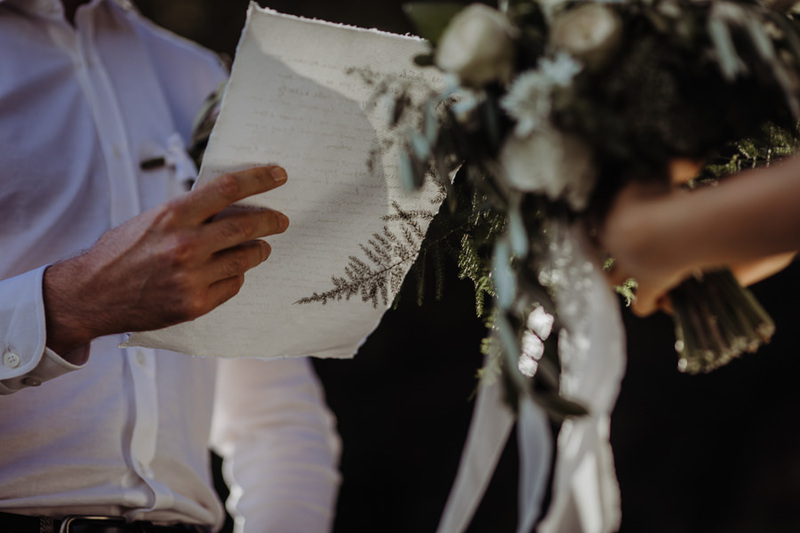 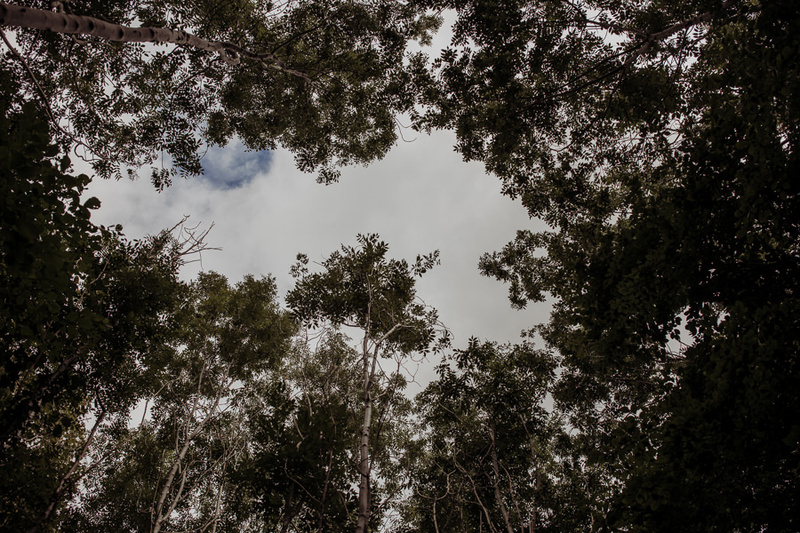 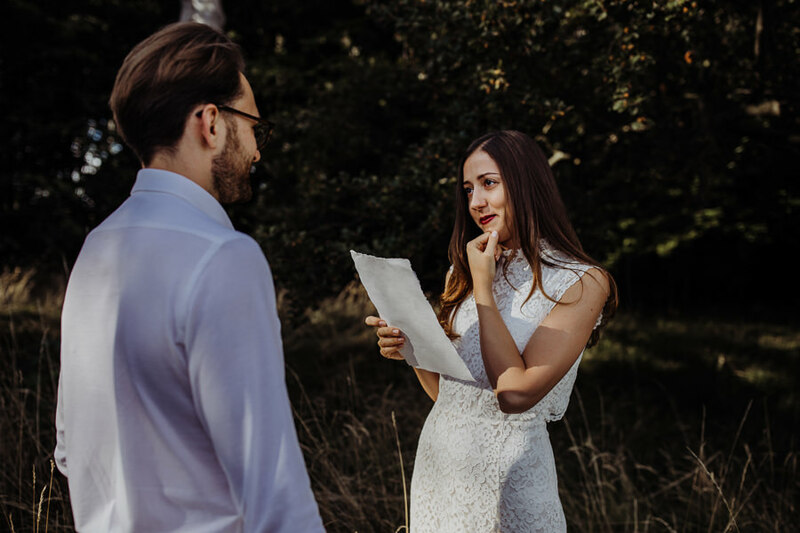 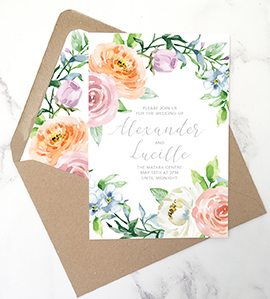 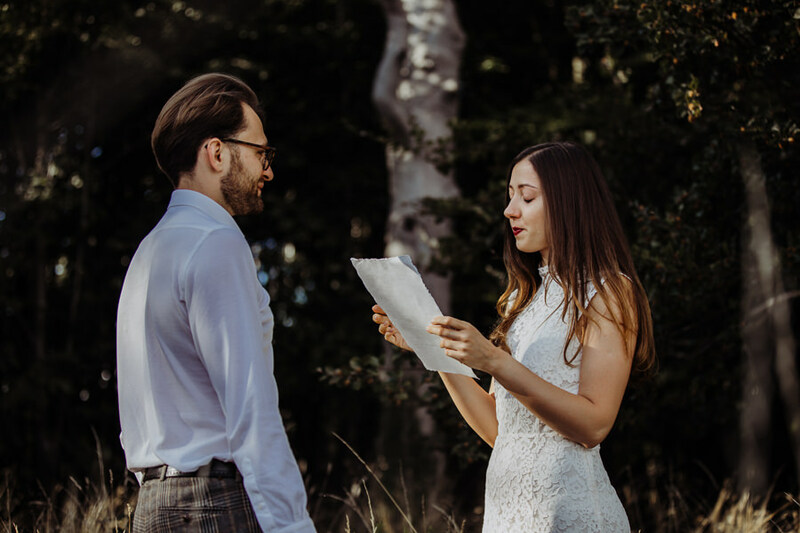 After a walk in the forest Lubov and Alexander picked a lovely spot surrounded by old trees to say their vows – which were both handwritten on handmade paper! 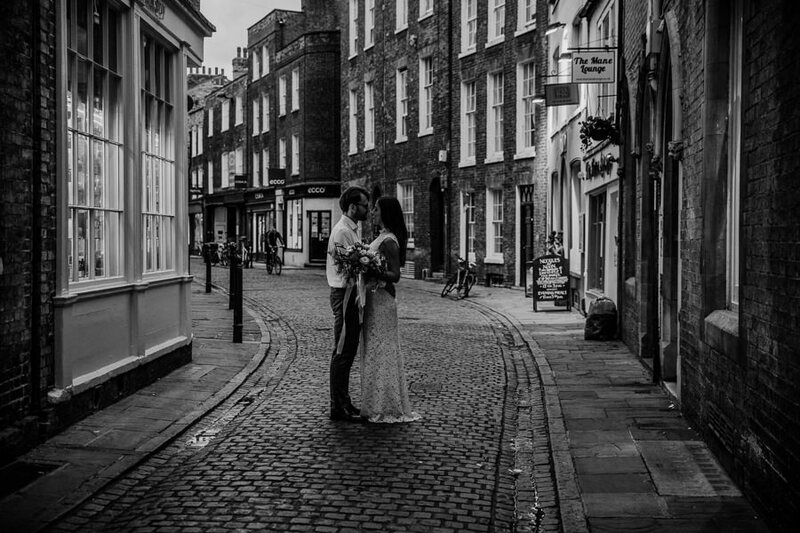 Exchanging vows was so romantic and beautiful… and then they just took a walk hand in hand and finished the evening with a very short stroll on the little streets of Cambridge. 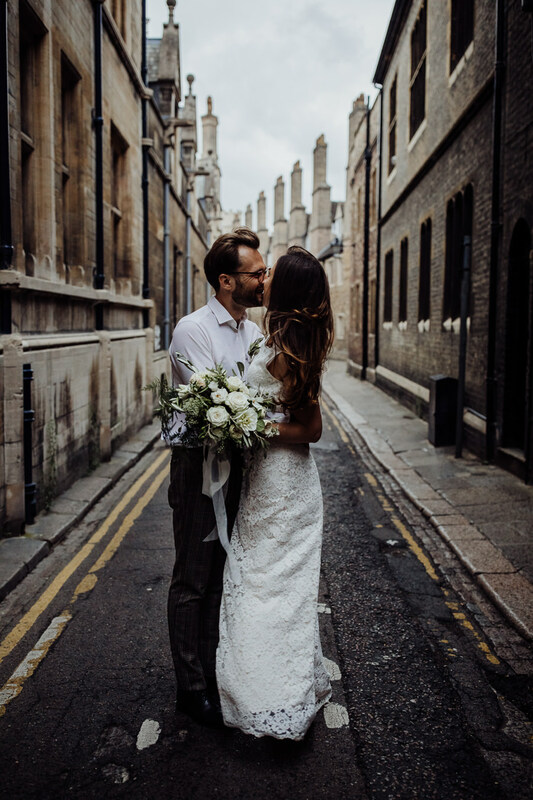 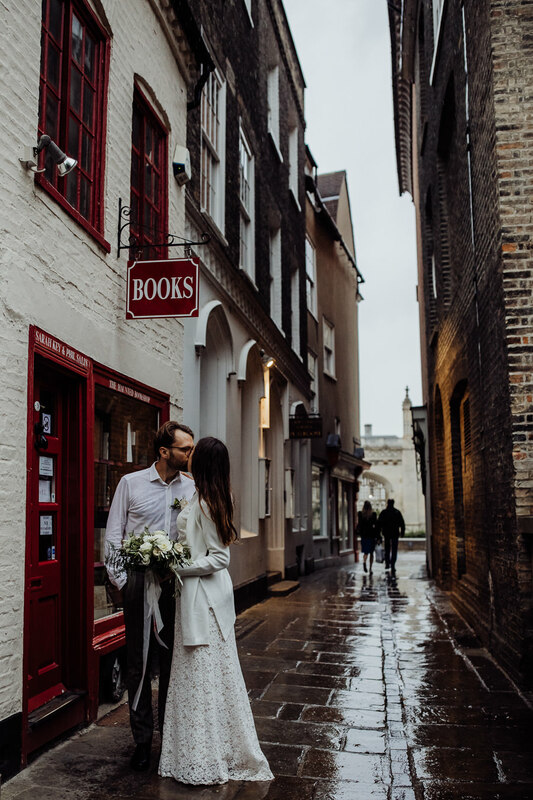 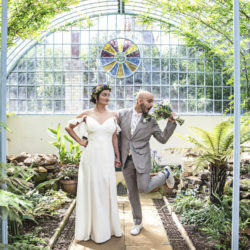 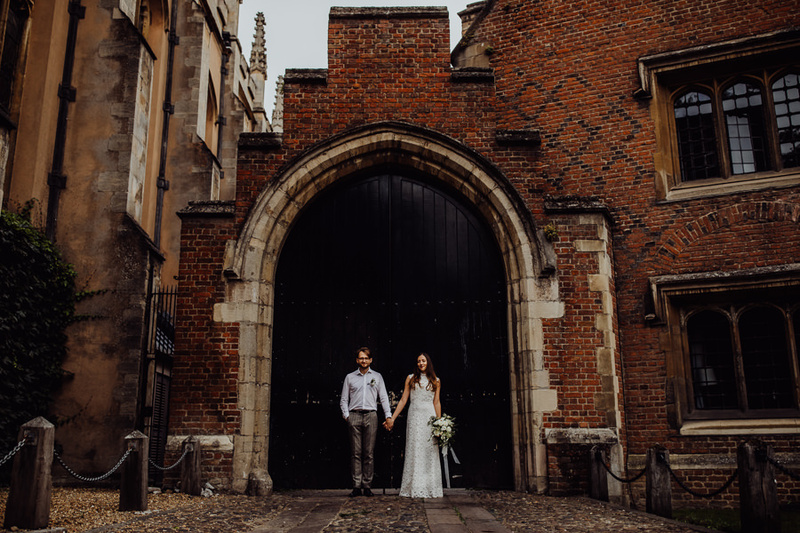 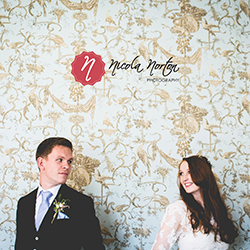 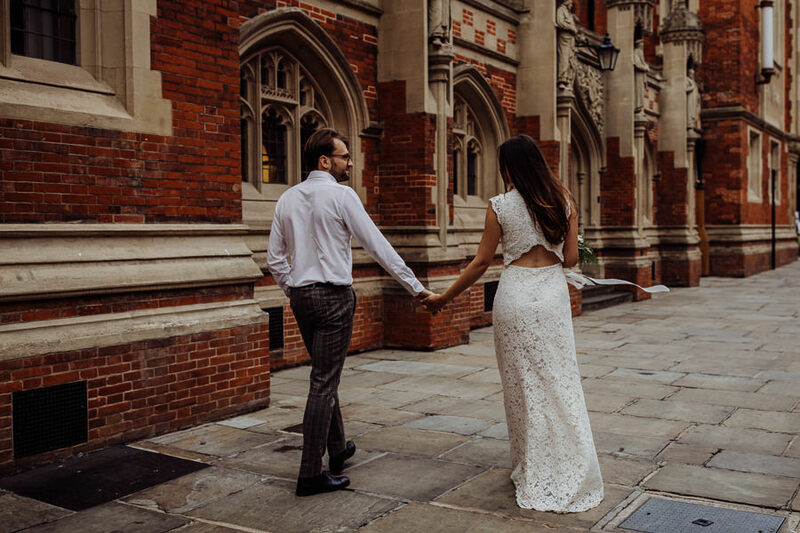 This Cambridge elopement was captured beautifully by lovely Noemi at Thyme Lane Photography. 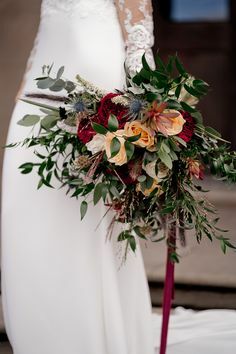 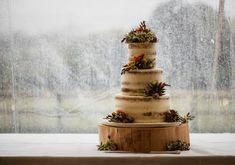 The flowers were from the very talented Becky at Feather & Ferns.